Radiohead frontman Thom Yorke has announced that his latest band, Atoms for Peace, will play a secret show in Los Angeles tonight (June 14) to benefit his bandmate Flea’s music education conservatory. The show will be held at a secret location, dubbed “Club Amok,” and tickets are only available as giveaways by radio stations KCRW, KROQ and 98.7, and by purchasing raffle tickets, with all proceeds going to Flea’s Silverlake Conservatory of Music, a non-profit that provides low-cost and free music education and instruments to the Los Angeles community, enriching students’ lives through music. Independent record stores across LA will give away tickets to the show with the purchase of the band’s most recent album “Amok.” Click here for the list of stores. 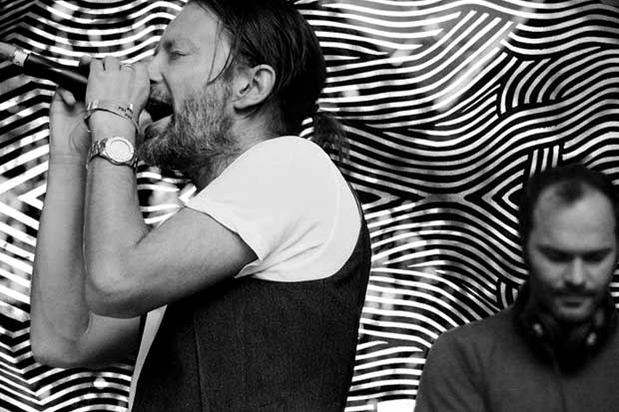 This exclusive show will mark the start of the Atoms for Peace world tour for Yorke and his bandmates Flea, Nigel Godrich, Joey Waronker and Mauro Refosco. Don’t miss the chance to catch them in an intimate setting while supporting a great cause before the band hits the road!